The Rowell Road Reading Group is happy to announce an event that we’re organising at Post-Museum. In late 1993, when Lt. General Romeo Dallaire received the call to serve as force commander of the UN mission to Rwanda, he thought he was heading off to Africa to help two warring parties achieve a peace both sides wanted. Instead, he and members of his small international force were caught up in a vortex of civil war and genocide. Dallaire left Rwanda a broken man, disillusioned, suicidal, and determined to tell his story. This is his story. 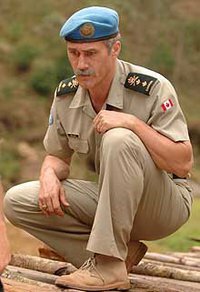 Rowell Rd Reading Group will be presenting a study of the film adaptation of Dallaire’s acclaimed book on his experience as head of the peacekeeping force in this central African country. Roderick Chia, a researcher on conflict, security and human rights, will host the viewing of ‘Shake Hands With The Devil’ and facilitate a discussion of the political and historical background of the events depicted in the film and book, as well as the aesthetics and themes explored in the film itself. There is a entry fee of $14 including 1 alcoholic drink, or $10 with 1 non-alcoholic drink. Come join us for an informative and interesting evening of film viewing and stimulating discussion! This forum is brought to you by Asia Research Institute, National University of Singapore in collaboration with National Library Singapore. The book, Men in White: the untold story of Singapore’s ruling party, has created a sensation in the mass media since its release in September 2009. 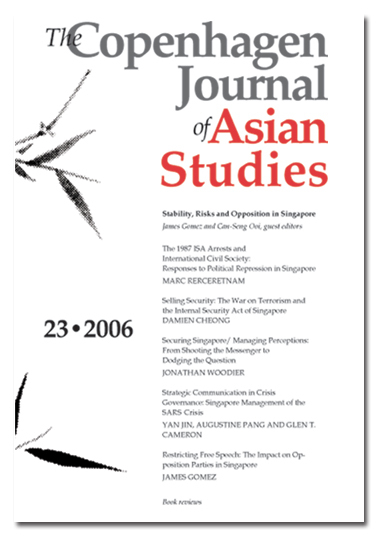 Written by three senior journalists from The Straits Times and commissioned and published by Singapore Press Holdings, Men in White was publicized extensively in the print and cyber media. The book became an immediate bestseller in Singapore and generated buzz not only locally but reportedly in Asia as well. The media blitz surrounding Men in White turned on its claim to offer an accessible and unbiased history of the ruling PAP government and of post-World War Two Singapore history in general. Yet, this claim quickly provoked challenges and invited critical scrutiny of its contents and research methodology from different quarters in the country. For several months following the book’s launch, history took centerstage in the nation’s mass media. 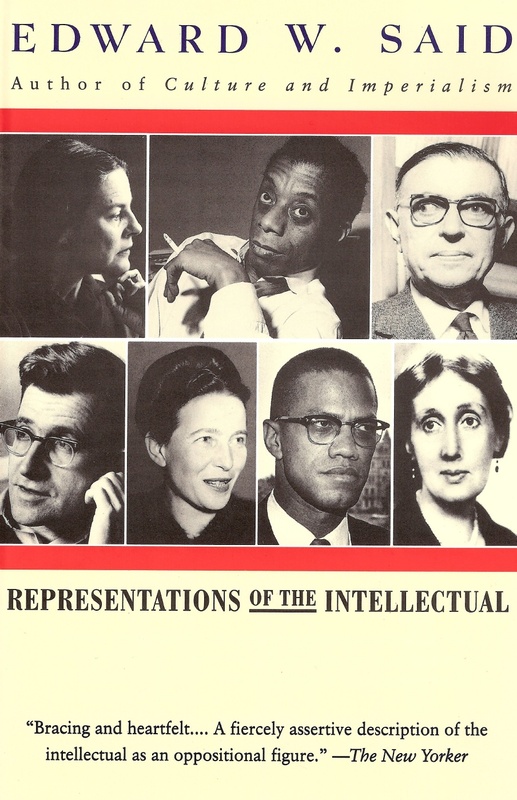 This seminar is the first public forum since the launch of the book to examine Men in White as a sensation generated from the intersection between history and the mass media. Discussion will revolve around the popularization of history by non-professional historians, the writing and consumption of history in the mass media, the internet and the democratization of history as well as the specific impact of the book on the state of Singapore writing and historiography. To register, follow the link here. A tyrant wrestles my eyes. Our reading two weeks ago was on Italo Calvino’s Invisible Cities. In a garden sit the aged Kublai Khan and the young Marco Polo – Tartar emperor and Venetian traveler. Kublai Khan has sensed the end of his empire coming soon. Marco Polo diverts the emperor with tales of the cities he has seen in his travels around the empire: cities and memory, cities and desire, cities and designs, cities and the dead, cities and the sky, trading cities, hidden cities. Soon it becomes clear that each of these fantastic places is really the same place. In our sharing about the multi-faceted aspects of cities and our experiences of them, one thing we asked each other was which city, or cities, we’d lived in, and which cities we wanted to live in for long periods of time – or possibly for the rest of our lives. Four cities come to mind for me, but I only spoke of three of them that day – Auckland, Singapore and Bangkok. All three carry interesting memories. One was where I found out about life. The other was where I was born and grew up. Yet another was where I discovered another side of life, and the potential for so much more. The fourth shall remain un-named for now. So this time around, it was Invisible Cities. We shared a text that had characters Marco Polo and Kublai Khan bro-mancing each other about social dimensions in a city. RI-C talked about a new shopping centre in Orchard Road and how it made him feel disconnected from the building. Not that a building can behave like a human being, but the fact that it is new, raw and demanding attention makes it less interesting. RO-C talked about his overseas stint in Auckland [Editor’s note: she originally thought it was ‘Oakland’] and Bangkok, the differences of it and how he eventually adjusted to Bangkok’s untamed streets. As for me, I couldn’t really figure out where I would choose to live but it would be awesome to explore South Asia for a bit. I’ve decided to pick up farming…somehow. Final thoughts?…There are still other cities, other vistas, to explore. Where is Bandung 1955 now? The first things I want to comment on about the last reading, Amitav Ghosh’s essay, is not my own. A few things that A said were particularly salient. One was that Ghosh’s trip to Egypt took place in the context of cultural and international exchanges between Asia and African, in the spirit of solidarity of the time between these two continents. The second was about human behaviour – the mix of respect for Ghosh’s culture on the part of the Egyptians, and yet a certain casualness when, for instance, they asked him if would switch his religious allegiance to the camel now that he was in Egypt (as opposed to when he was in India and a Hinda, and thus would presumably worship the cow). The third was the observation that it was unusual for an Indian PhD. student to go to Egypt or Africa to do field research – especially when it was still fashionable or ‘normal’ to go to the seat of the former colonial empire to study instead. And that’s where Bandung 1955 again comes in. It was the inaugural meeting of the Bandung Conference, which in later years led to the formation of the Non-Aligned Movement, or NAM. Initially a show of solidarity between the newly-independent nation-states of Africa and Asia – those in the 1950s – it has nevertheless been pulled in many directions, with some eventually allying themselves with either the Soviet bloc or the Western ‘democracies’ (many of which were still colonial powers). Although it was initially a noble attempt to forge a path between communism and capitalism, some of these countries combined elements of both, with very few becoming more liberal or advanced democracies. So it is that the NAM’s relevance and legacy is continually being questioned, with progress framed in terms of economic (if not political development), and Africa faring worse than Asia on this score. This was an observation that underscored the 10th anniversary meeting of the NAM in 2005, written up in this article – ‘Bandung Revisited’. It highlighted the statements made by various leaders, prominent in their own right if not in the NAM itself. I noted wryly that most of their statuses had changed. There was Japan’s Koizumi (no longer prime minister), Zimbabwe’s Mugabe (now in a power-sharing agreement with the country’s ex-opposition leader), Gyanendra of Nepal (deposed and no longer ‘king’). Then there was Kofi Annan (no longer UN Secretary-General). One of the more unsavoury characters mentioned, or rather not mentioned, was the president of Sudan – although his country was. Can we really believe it when the Sudanese government ‘denied that it had instigated violence in its war-torn Darfur region’? There is also the tendency to paint the nation-states of the NAM as having some sort of global solidarity, but with the plethora of regional organisations, arrangements and military treaty alliances (ASEAN, ASEAN + 3, APEC, ARF, Five-Power Defence Arrangments, etc.) that intersect and overlap, or the differences between Northeast, South and Southeast Asia, or the more affluent and developed states (e.g. Japan, South Korea, Singapore) in contrast to the rest, or the self-interest of Asian and African states in the context of great power competition (US, Russia, China etc.) still very much dominating international politics – I’m afraid that to depict the idea of the NAM as a cohesive ‘Global South’ may be a fantasy at best. Bandung 1955’s legacy is yet to be fully revealed, much less celebrated.